When my dad and sister came to Berlin to visit, I knew I was going to be a tour guide. I thought, oh cool, I can show them how cool Berlin is! 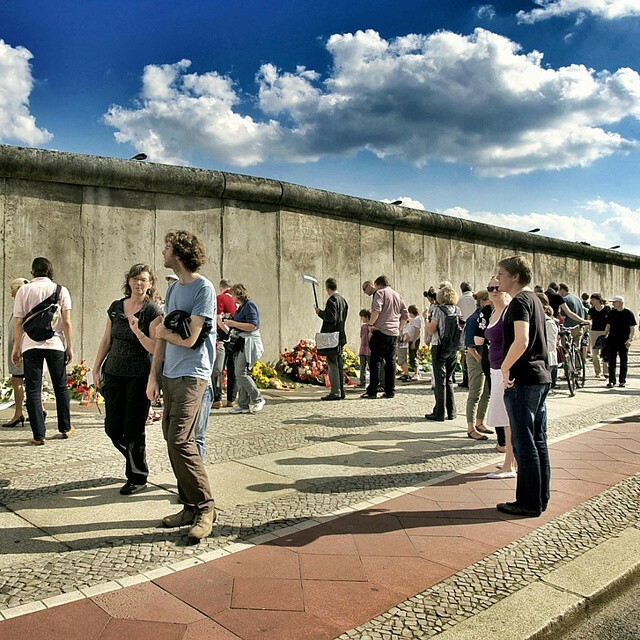 We’ll go to the TV tower, East Side Gallery, Mauer Park, Oberbaumbrücke, Tempelhofer Feld and Checkpoint Charlie. Then I was out of ideas and left with a day and half worth of activities. And my family was staying for ten days, leaving me with eight and half more days to fill. What else should we do? London, Paris and Rome being the other most visited European cities, one can see the allure of Big Ben, the Eifel Tour and the Roman ruins. But 11.8 million tourists don’t visit Berlin only for World War II history or to party. My 15-year-old sister is not too interested in WW II history, nor is my father. Nor are they interested in the club scene. We had to get creative. 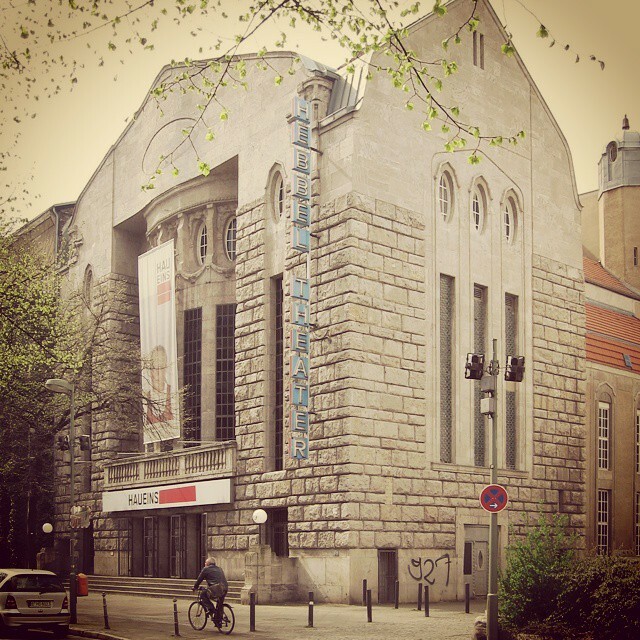 After we had seen the ‘musts’, my sister and I found some of the places in the book Berlin Blues which both my sister and I have read. So we walked around Kottbusser Tor for ten minutes before we got too cold. Then we ate some döner and rode the U-Bahn to Brandy Melville to shop. Another day we went to the Reichstag with my host family’s grandma and walked the dome, and the rest of the day was spent getting lunch with their grandma, which was cool. The time together was great but it did raise the question, how do I show the Berlin I know, not just the must see? Living here with a German family, I don’t have experience as a weeklong tourist. For that reason my perception of Berlin is different than I could really express to them in the given time. I like that I can bike everywhere, the graffiti, my friends, the fact I can buy beer (I’m not old enough to buy beer in the USA), how the city is not homogenous like my hometown, and so on. If you like Berlin as well, you understand what I’m saying. Within a ten-day period I was not sure how to convey this. I think they understood what I was feeling but after they had left the best ideas to show them Berlin came to me. 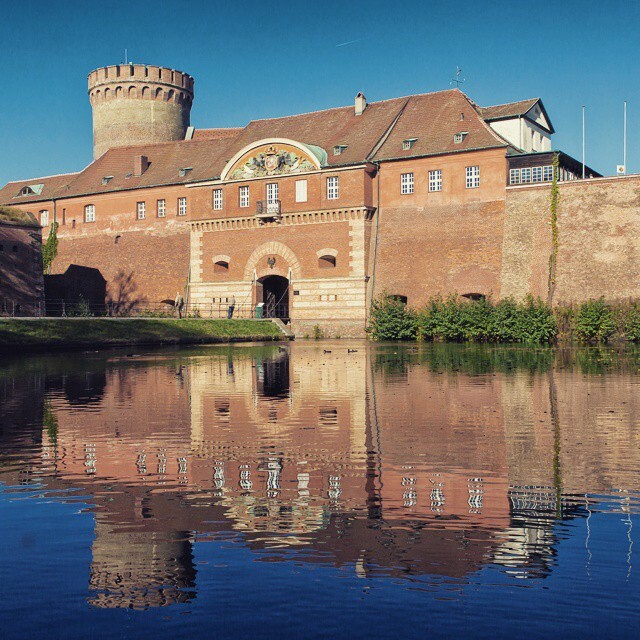 Spandau Castle would have been cool. Although my sister is not so into this theme, the castle is not big enough to really make someone miserable who is not 100 per cent interested. The route there is with the U7, which is decorated in an eccentric fashion. So while my dad and I would be excited for the castle, my sister would be given the chance to redecorate or mock the decorations. After seeing the castle we could have had lunch on the lake or moat there. 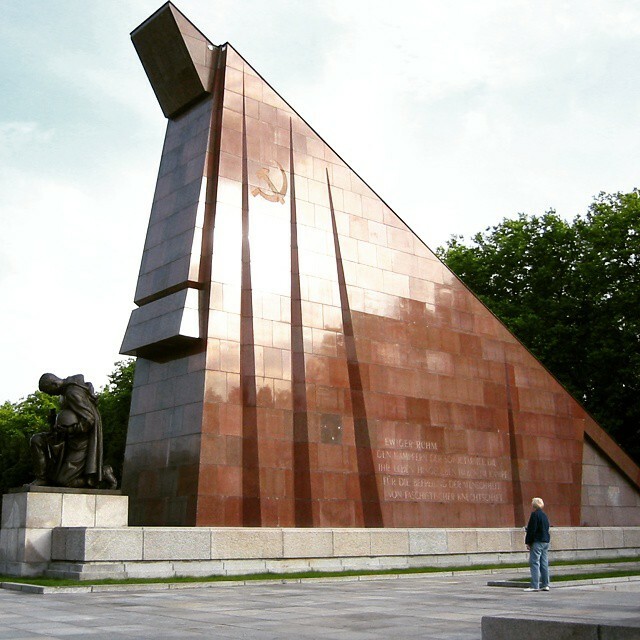 The Russian WWII memorial in Treptower Park would have also been cool. There is a giant statue of a Russian soldier and neatly arranged trees among other things. After looking at the memorial walk (which is even better by bike), the route along the Spree on the trail going away from Berlin would have been pleasant. Especially since the trail follows the bank and runs through a park so it’s easy to do with a group. 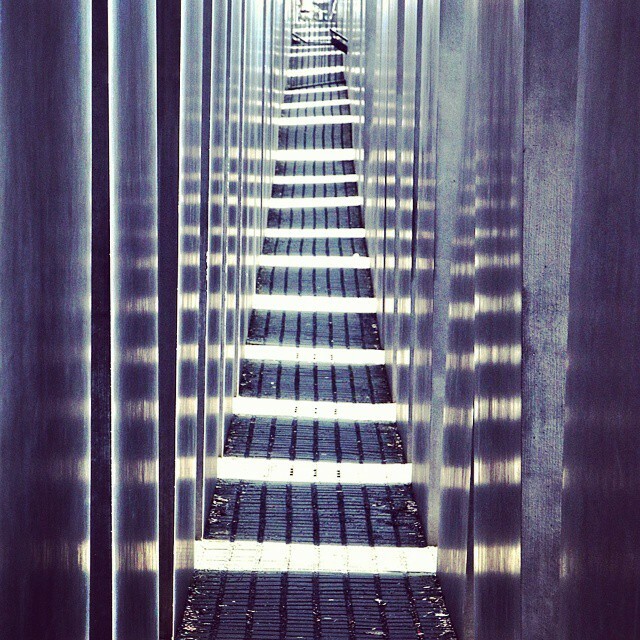 While we visited the Holocaust Memorial for the Jews who died, it would have been easy to visit the Roma Holocaust Memorial and the Memorial for homosexuals who died. The Roma Memorial is a lily pond surrounded by walls. It’s directly across the street from the Reichstag in the direction of Potsdamer Platz. The memorial for the homosexuals who died is a video with two men kissing; it’s in a large grey block right at the entrance to the Tierpark. The theatre plays with English subtitles, so why not. My dad is a bit of a redneck so maybe he would have opted to stay at home. However, my sister would’ve enjoyed seeing a play and I would have too. It’s cool to see a play that’s not Broadway. For people like me who don’t watch plays that often, it’s easy to forget that not only New York offers good plays. 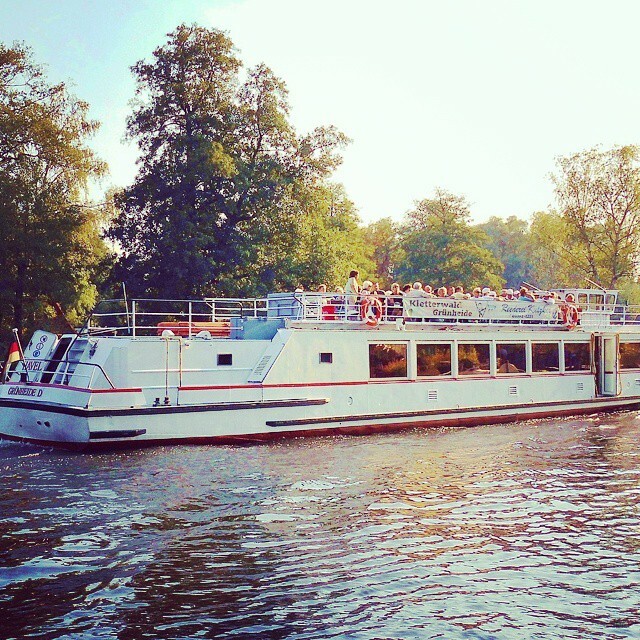 The ferries on the lakes around Berlin are included in the U-Bahn ticket. In Wannsee, for example, there is a ferry. During the summer why not take a swim and picnic. The city of Berlin has been awesome at trying to create and maintain parks. If the family is from a smaller town like mine taking a break in the park can be a good idea. 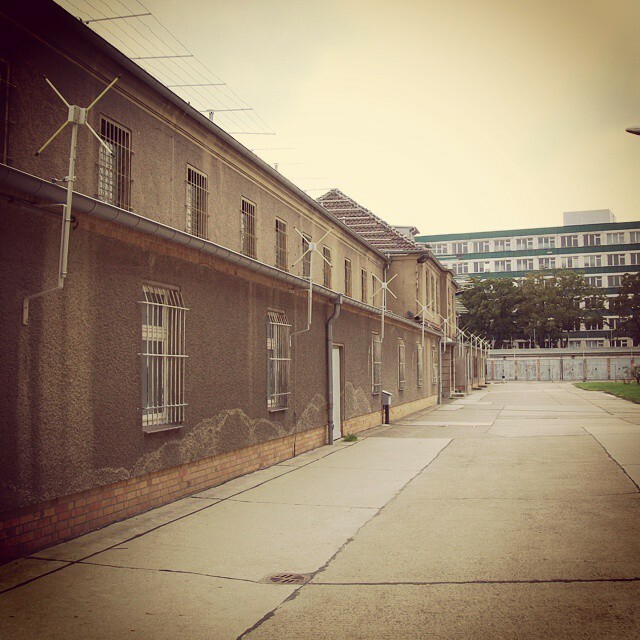 At the Stasi Prison on Hohenschönhausen, there are tours every day in English. Everyone must go with a tour guide so the day might require some planning around the tour time. From April to October, there are two tours a day, 11:30 and 14:30. They last about two hours (or at least the one I went on did). Time may or may not go quickly depending on the level of interest. The time for me went by fast. Perhaps I wasn't the best tour guide that time around, but I know the next time my family visits me I will have the know-how to show them the Berlin I know.